In game two of the season the Twins couldn’t win a nail biter against Cleveland, losing 2-1 in another pitchers duel. The bats never really got going at all as the Twins only got two hits all game, one was a dropped pop up in the 9th inning for a Buxton double. Both starting pitchers were great and that was a pleasant surprise for Twins fans to see Odorizzi have a stellar outing. He finished by going 6 innings while striking out 11, matching the Indians Trevor Bauer inning for inning. 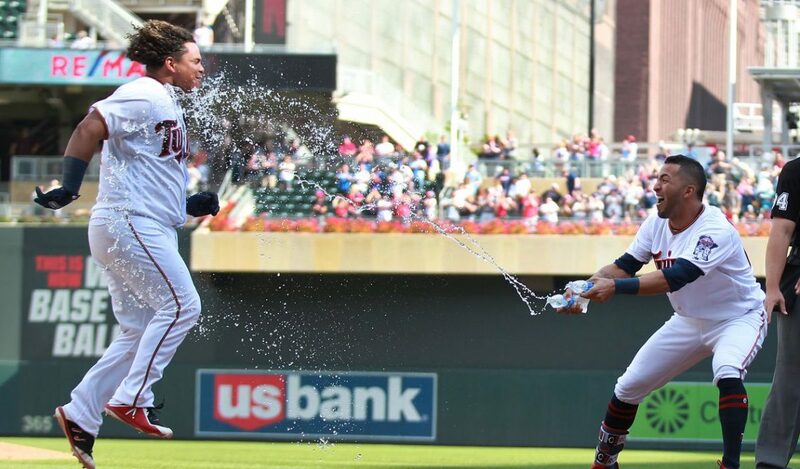 The Twins lone run was scored in the fourth inning. Polanco tripled off the right field wall, and then Nelson Cruz drove him in with a soft groundout to second base. They had a few chances but with only one real hit you’re not going to score many. The bullpen was actually a bright spot until the final inning today. Trevor May, Adalberto Mejia and Taylor Rogers all were able to come in and get outs. Blake Parker came in for his twins debut in the 9th inning but he didn’t have his command and gave up the final run. Mitch Garver caught for the first time this season and did very well defensively. He only missed maybe one clear strike but he did enough to make up for that by getting approximately 3 strikes called that were outside the zone and a few on the border. Keep an eye on Garver as he continues to establish himself. Nelson Cruz was hit by a pitch on his wrist after Bauer threw a pitch up and in for the third of fourth time to Cruz. On his way to first he had a few words for the pitcher but Cruz did seem ok and he got another at bat later so he should be fine.